With the rise of gluten-free menu options at local restaurants and special gluten-free sections at grocery stores, one might assume this growing trend is simply reflective of popular diet fads and that food manufacturers are just taking advantage of the gluten-free craze. While this may be true for some who have ditched grains and foods containing wheat for other health reasons, for people like Heather Welbourne, who was diagnosed with celiac disease, consuming gluten can be fatal. 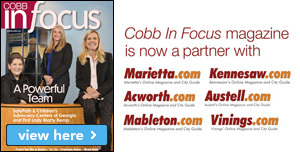 Welbourne, who lives in East Cobb with her husband and two young children, was diagnosed with irritable bowel syndrome when she was 11 years old, and she lived with an assortment of ailments throughout her early years. In 2008, she took a new sales job, and in the process of building up her client roster, could only afford to eat cheap, gluten-loaded foods like sandwiches and ramen noodles. 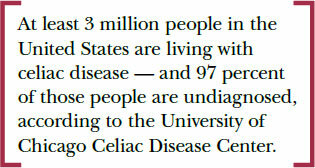 Celiac disease, an inherited autoimmune disorder that causes the immune system to attack the small intestine and block the absorption of important nutrients to the body when gluten is consumed, affects 1 percent of healthy average Americans, according to the University of Chicago Celiac Disease Center. At least 3 million people in the United States are living with celiac disease — and 97 percent of those people are undiagnosed, according to the CCDC. 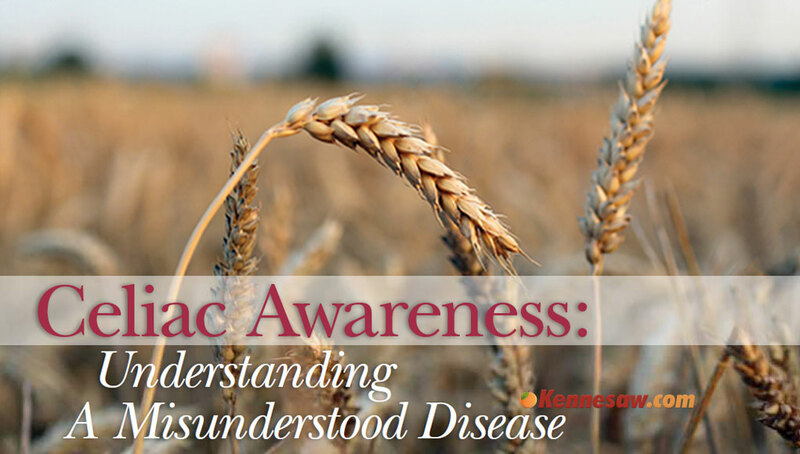 May is Celiac Awareness Month and serves to make more people aware that they may have the disease, as well as support research into the often-understood disease. With celiac disease, gluten fragments bond with small intestinal proteins and trigger an overreaction from white blood cells, which destroys the tiny, finger-like villi that protrude from the intestinal walls that normally function to absorb vital nutrients into the body. Once the villi are damaged, the intestine is unable to function correctly and can cause severe problems that can affect the whole body. Dr. Nina Singh with Atlanta Gastroenterology Associates, which is part of the Northside Hospital Healthcare System, says celiac disease can present itself in a wide variety of ways, and patients can have gastrointestinal or non-gastrointestinal symptoms of varying severity. Common GI symptoms include diarrhea, flatulence and bloating, while other symptoms can include fatigue, headache or arthritis. 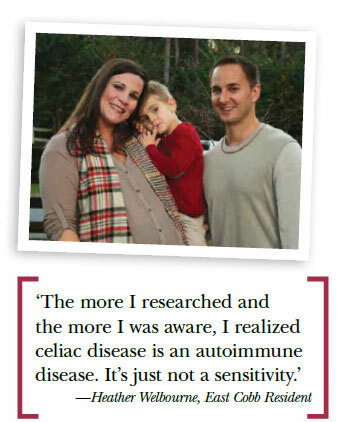 If left undiagnosed and untreated, celiac disease can lead to the development of other autoimmune disorders, as well as osteoporosis, infertility, neurological conditions and in rare cases, cancer, according to the CCDC. Additionally, there is an increased risk of gastrointestinal and blood cell cancers if celiac disease goes untreated, Singh says. There are many conditions associated with celiac disease, including Type 1 diabetes mellitus, autoimmune thyroid disease and Down Syndrome. Liver disease, menstrual and reproductive issues and inflammatory bowel disease have also been associated with celiac disease. When a patient first comes to Singh, she obtains a very thorough history of his or her symptoms, dietary history, childhood history and any relevant family history of autoimmune conditions. Then, a complete physical exam is performed. “If my suspicion for celiac disease is present, then laboratory tests through blood work are done.” To confirm the diagnosis, an upper endoscopy with small intestinal biopsy is performed. Lifelong adherence to a gluten-free diet is the only way for celiac patients to manage their condition. “The abnormal small intestinal lining improves when treated with a gluten-free diet and relapses when gluten is reintroduced, and it is important for patients to understand this,” Singh says. Typical foods celiac disease patients must avoid include wheat, rye and barley. Some starches that are good replacements for these foods include soybean and tapioca flours, rice, corn, buckwheat and potatoes. While distilled alcohol and wine is safe for celiac patients, beer is not. “It is important to read all labels and pay attention to additives [and] emulsifying agents,” Singh says. Laura Farmer, a licensed dietitian at WellStar Health Place, helps counsel celiac patients on diets that will keep them healthy and happy. “I try to get them to really focus on eating foods that are naturally glutenfree — lots of vegetables, fruits, quality meats, healthy fats and gluten-free grains,” she says. However, knowing if a food item contains gluten is not always so simple; and food isn’t always adequately labeled to inform consumers of its gluten content. Farmer helps patients identify hidden sources of gluten that can be present in some surprising places. “One that I think throws people off is soy sauce. It is made with wheat,” Farmer says. “Sauces and dressings are often hidden sources of gluten, and also you have to be careful with soups because the base can sometimes contain wheat or other gluten. Another one that is surprising is flavored coffees and teas.” Farmer advises patients to check with their pharmacists to make sure all of their medications are gluten-free and to steer clear of most processed foods, as almost all of them contain modified food starch. If patients diagnosed with celiac do not adhere to a gluten-free diet, they may experience symptoms that can affect the whole body, including unexplained iron-deficiency anemia, malnutrition, fatigue, bone or joint pain, arthritis, depression, anxiety, infertility or recurrent pregnancy loss, an itchy skin rash called dermatitis herpetiformis, fibromyalgia, weight loss or gain and headaches, Farmer says. 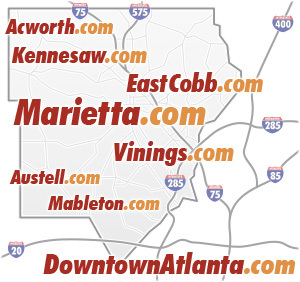 In its third year in Atlanta, more than 2,000 people attend the event each year and the numbers continue to grow. 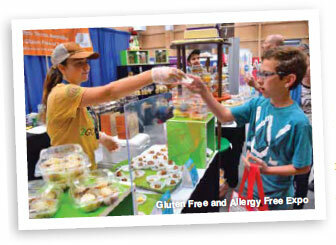 “We see many families at the event and people with celiac disease, gluten intolerance, autoimmune and inflammatory conditions, food allergies, autism and those that are trying the gluten-free lifestyle to feel better in general,” Cafferty says. Welbourne rarely goes out to restaurants, but if she does, she is upfront with the waitress about her disease. 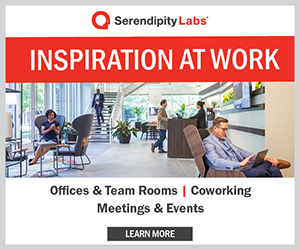 She admits that she’s often embarrassed around co-workers, clients and new people when issues surrounding her disease come up, as the extra accommodations can make her seem high-maintenance, but it’s important for her to speak up and explain her condition to spread more awareness and help others better understand how her disease impacts her everyday life. She maintains that living a gluten-free lifestyle is a challenge, but it can be done and she remains optimistic. “You have to be compassionate on yourself. Your body already wants to kill you, so don’t let your mind do it, too,” she laughs.